Update 16 Sep 2016: The project mentioned in this post has its own page on Gamejolt and Itch.io now: Visit "Stick Veterans" on Gamejolt or Itch.io for more info. Stick Soldiers has remained discontinued for the past years after the hiatus of the development team and the cancellation of the long-awaited sequel Stick Soldiers 3 by Andrew Russell Studios. 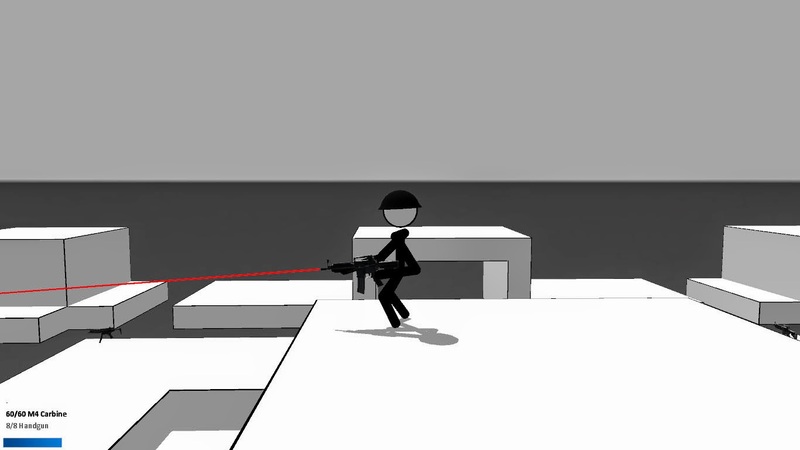 For a long time, I have aspired to revive the Stick Soldiers series by making a fan sequel to the game. 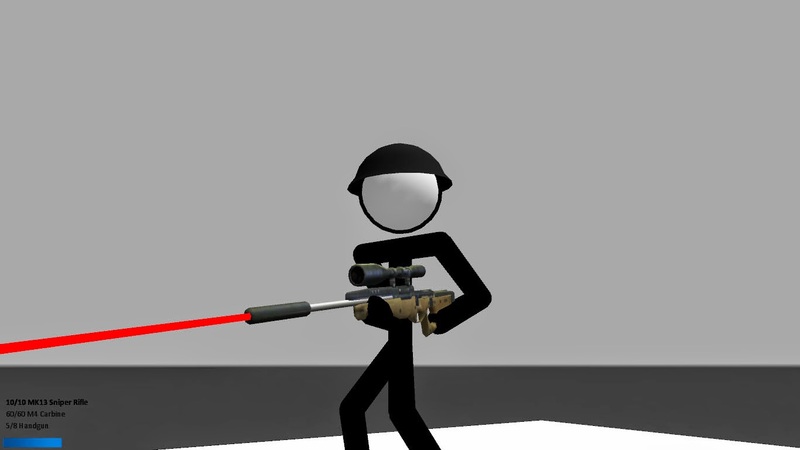 Since school's start, I spent about a whole year working on a Game Maker / Ultimate3D project, aiming to evolve it to a complete and worthy sequel, which I called "Stick Soldiers: Encore". Second year of school was very demanding so I eventually had to stop working on the project. Now, three years later, I stumbled upon that project again and decided to post about it here. I had actually done a lot of work on this one. 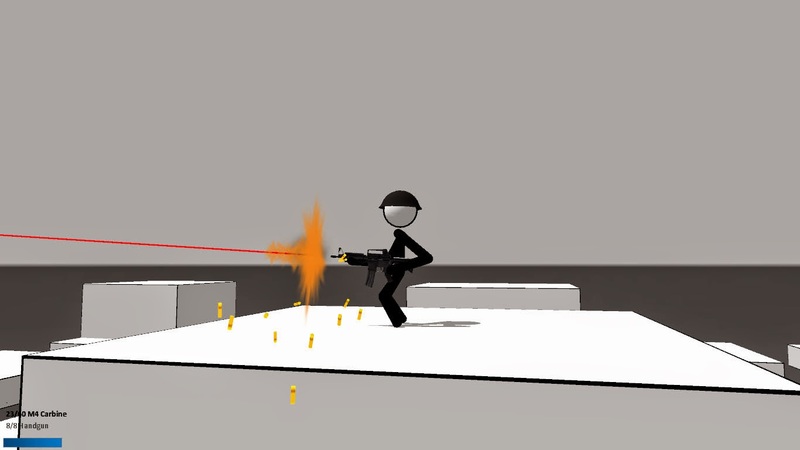 The game features basic physics, an ingame 3D map editor, a basic AI for bot players, and an early form of multiplayer networking. All it lacks to be considered ready for release is completing the AI and networking aspects, making some good maps, and hosting a masterserver for internet matches. Each of those is easier said than done, of course. Although I really want to see this project complete, I can't promise anything yet. Finishing this project means dedicating a lot of work and time into it, sustaining the game, and maybe even rewriting the game from scratch in a new SDK like Blender or Unity. I will definitely consider it, though. Any news on this? I like it a lot, the concept. Any release estimates? Hope you post more of it, tell where you will post it, thanks! Thanks, your feedback means a lot! Unfortunately, the project has been on hold as of late. If I set my eyes on it, there could be a playable alpha version in 1-2 months, but I haven't gotten around to it. Truth is that I worry there won't be enough popular interest in this project, though I haven't really given it a chance yet. I will certainly consider it as soon as I have the time. Thanks again!